It just feels fresh! 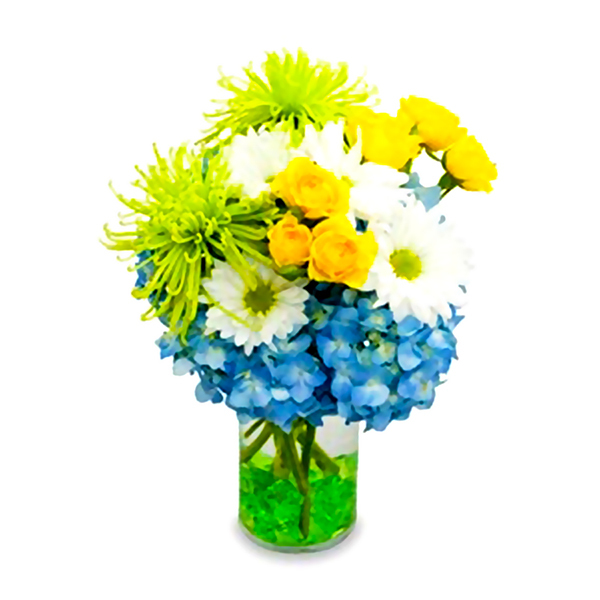 Lime green, yellow, sky blue, and fresh white combine to brighten any room or office with its sunny disposition. A Tiger Lily Exclusive design.